Young People’s Camp of Westchester uses Miles Square Transportation bus company. Each child will be picked up between 7:30 and 8:30 AM. Children will be home between 4:00 and 5:00 PM. Please have your child waiting at your assigned bus stop 15 minutes before the bus is scheduled to pick him or her up. If your child misses the bus, please call the bus company as soon as possible for further directions. 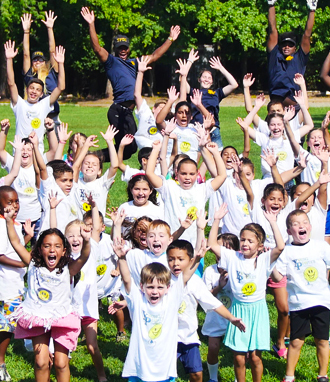 If your child cannot attend camp for the day, please call the camp at (914) 792-6555. We highly recommend that all children wear SNEAKERS every day. They will help cut down on blisters, bug bites, and small injuries. Wear light clothing and always drink plenty of water. Pack lunch on a daily basis and only wear bathing suits and bring towels on swim days. On swim days we find it easier for the child to wear the bathing suit all day because it easier to avoid changing especially for the younger child. When we are at the pool the children will be allowed to have their towel, and flip flops on deck. Please pack sunscreen! Campers will be supervised in a group with an 8:1 camper to counselor ratio. For children between the ages of 4 and 5 children will be supervised with a 4:1 ratio. All counselors are supervised by licensed teachers. There will be several FREE trips throughout the summer. These trips are based on inclement weather. All money for camp should be paid by June 15th prior to the start of camp. Payment plans are available upon request. Please direct your questions and concerns to (914)-792-6555.